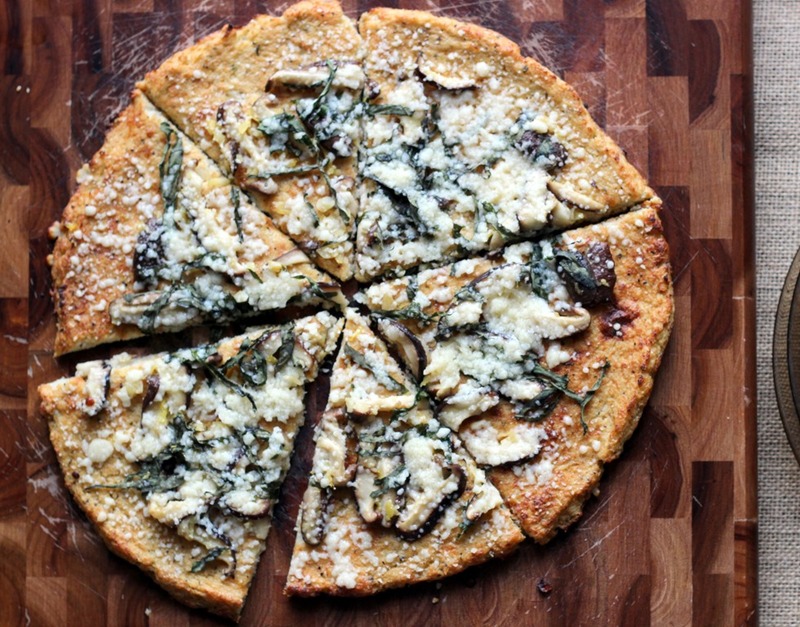 Has everyone jumped on the cauliflower-pizza-crust-train yet? If not, you better do it soon! Or you could wait and try it whenever you want. 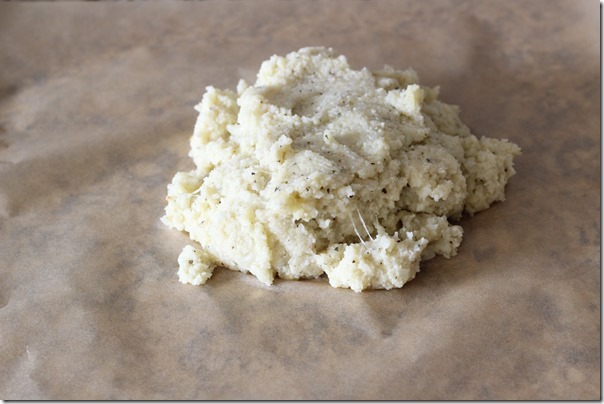 Cauliflower’s not going anywhere…that I know of, at least. Recently there has been a bunch of talk going around about “wheat belly”, claiming how evil gluten is for your body. 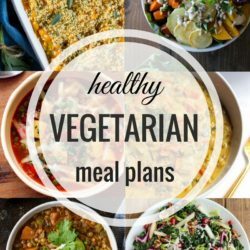 In addition to that, there is the popular Paleo diet which recommends avoiding grains and wheat in your diet all together. 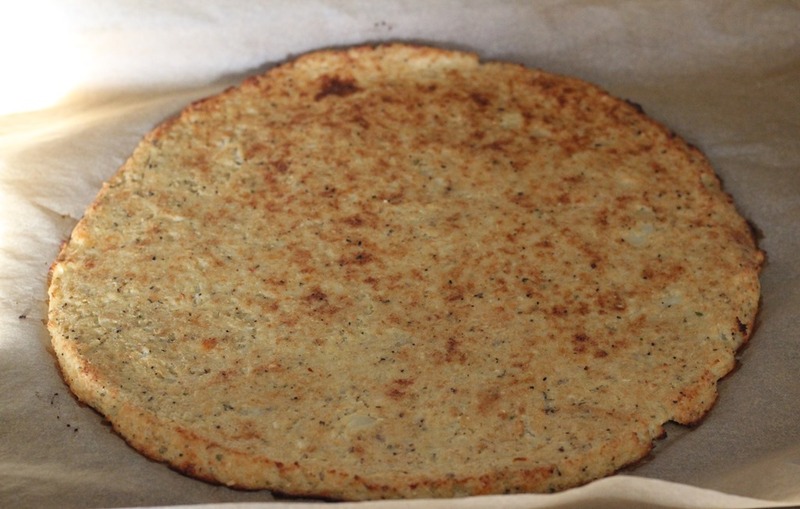 Personally, the thought of giving up bread gives me a small panic attack but if you are trying to avoid it then this cauliflower crust is one tasty way to do it! Start by preheating the oven to 425°F and wash and cut the cauliflower into florets. 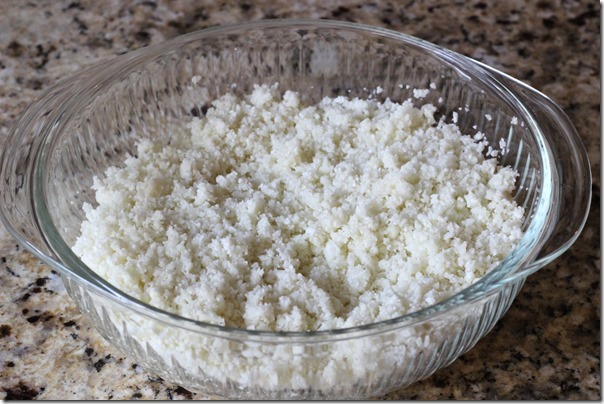 Dry the florets thoroughly and then place into a food processor and pulse until a texture similar to rice has formed. 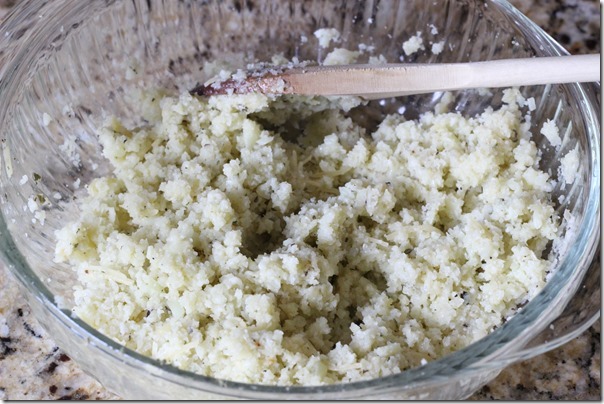 Place the riced cauliflower into a medium size microwave-safe dish and microwave for 8 minutes until the cauliflower is cooked through. 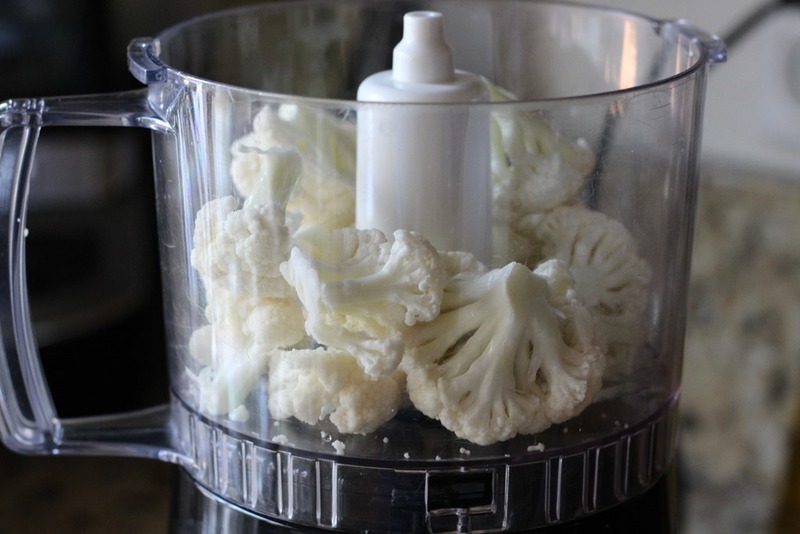 After the cauliflower cools, blot the excess moisture with a towel or several paper towels. 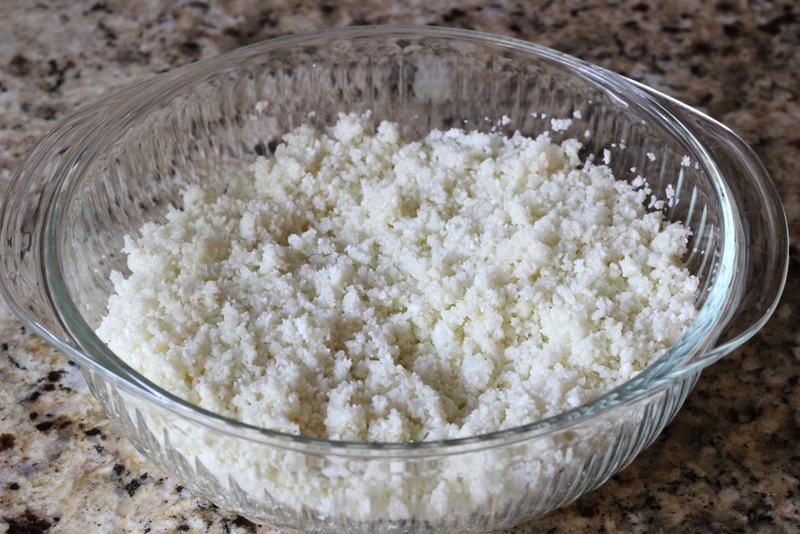 It is really important to remove as much moisture as possible in order to avoid a mushy crust! 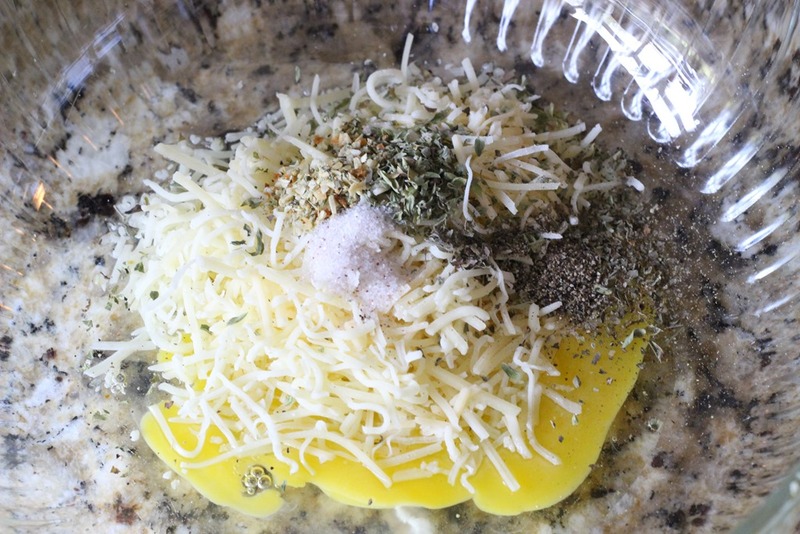 In a separate medium size bowl, combine the 1/2 cup shredded mozzarella or Italian cheese blend with the egg, one tablespoon of the lemon zest, and the dry seasonings. 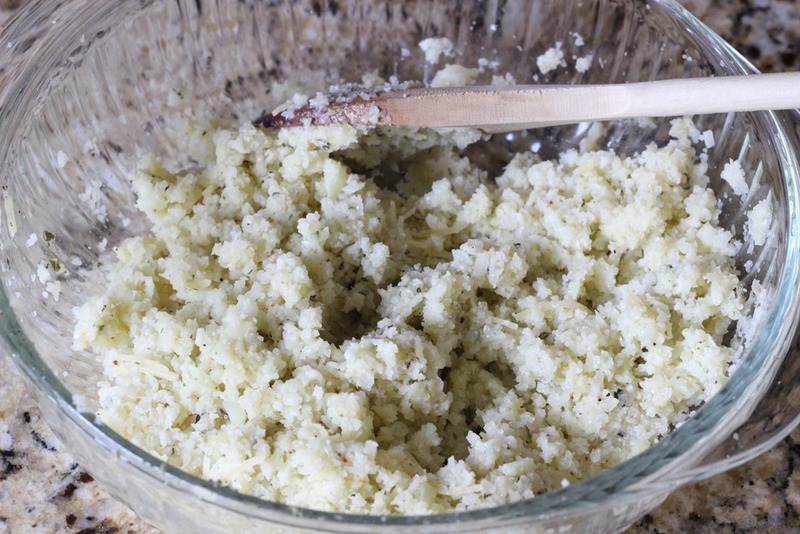 Stir ingredients together and then add them to the riced cauliflower and mix until well combined. Line a baking sheet with parchment paper and place the cauliflower mixture on top. 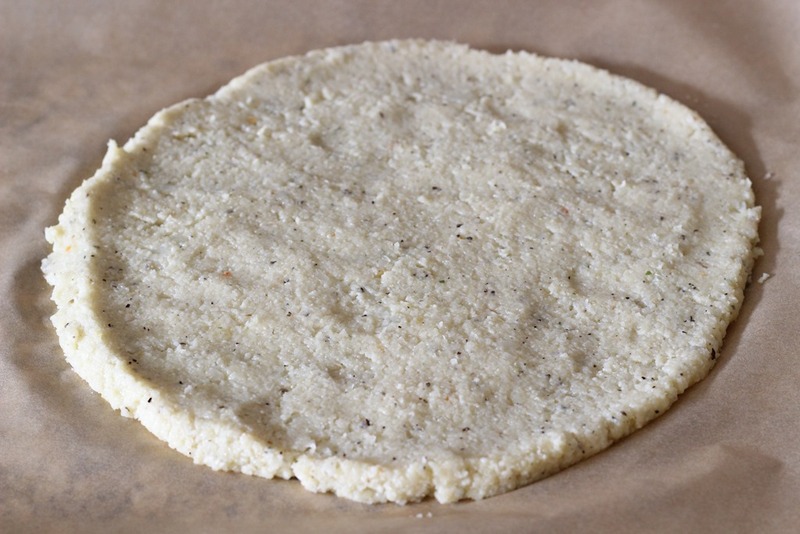 Smooth out mixture with a spoon until you have a nice shaped pizza crust. Bake in the oven for about 25 minutes or until crust is light golden brown. While the crust is cooking, warm the olive oil in a sauté pan over medium heat. Sauté the garlic until fragrant and then add the mushrooms and continue to cook for about 2 minutes. Then add the lemon juice and the remaining tablespoon of lemon zest and sauté for about 5 more minutes. 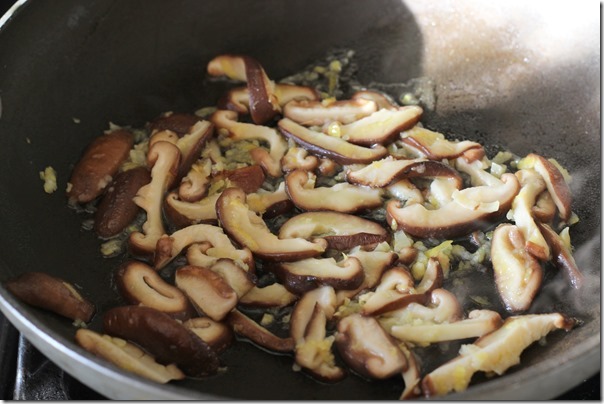 Once the crust is golden brown, remove from the oven and top with mushrooms and garlic. Continue to layer the pizza with the fresh, chopped basil as well as the parmesan cheese. Place pizza back in the oven for 5 to 7 minutes. 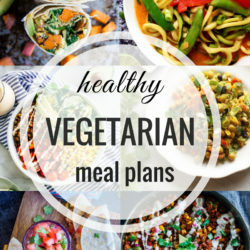 Allow to cool for a few minutes and you are ready for a light and healthy dish packed with lots of fresh flavor! 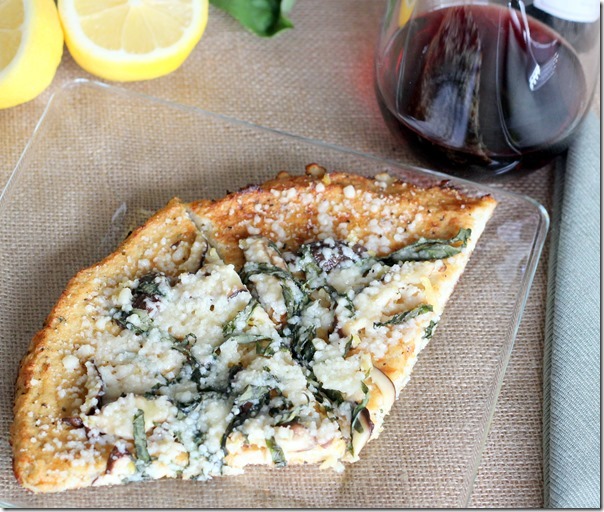 Not only is this pizza light and tasty, it is a meal you can feel relatively good about eating. 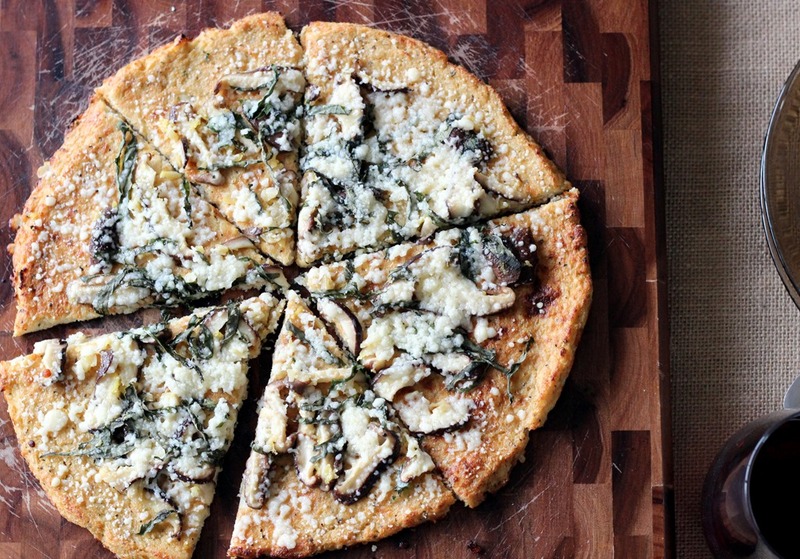 As delicious as this pizza is, you can’t expect the texture of the crust to be like real bread. It is tender and fragile so the toppings should be kept light if you want it to hold together properly. The most important tip for getting good texture is to make sure the cauliflower is as dry as possible. I tried adding an extra egg to hold it together better and that idea was no bueno. I’m telling you…don’t do it. Blech! Also, if you are not a huge fan of cauliflower flavor then you would be better off trying this crust with tomato sauce as it helps to mask the cauliflower a little better. 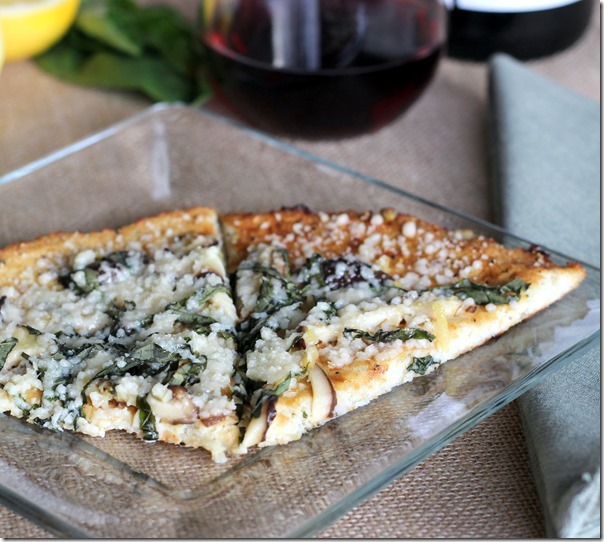 Cauliflower pizza crust is a favorite of mine! 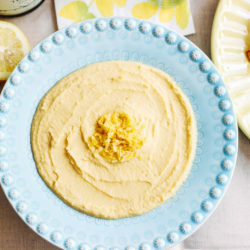 I am loving the unique toppings that you used in this recipe, too :). This sounds amazing! 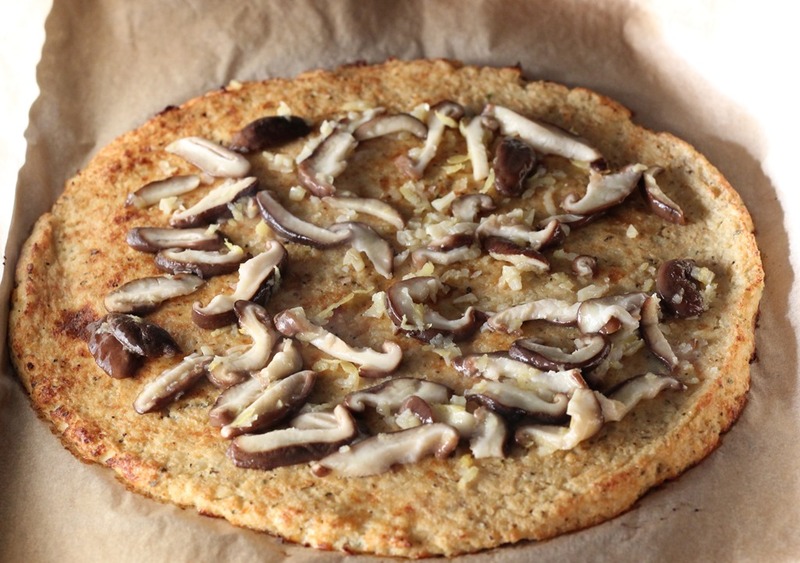 I have been wanting to try cauliflower pizza crust for quite awhile, I love the unique toppings you used too. I haven’t tried cauliflower pizza crust before! It sounds amazing. I love that it’s gluten free :) Can’t wait to try it (egg-free) ;). Thank you for sharing. I haven’t seen an egg free version but I would be very curious to see how it turns out. Oh gosh that looks delicious!! Your crust looks better than most I’ve seen! I saw the picture before I read the title and said “I don’t care what it is, I want it!” Yep, pretty much drooled here. 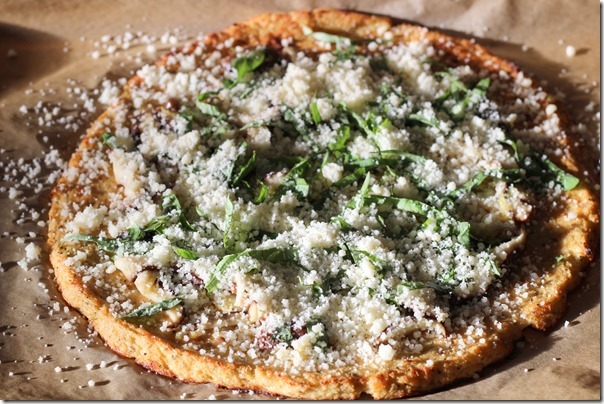 I haven’t tried cauliflower pizza before but I really think I’ll try it it. I love cauliflower. 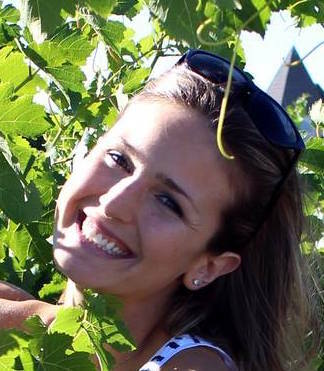 I think if I couldn’t eat gluten, I would curl into a ball and cry. My favorite meal is a hunk of straight from the oven bread with a nice crust and a wheel of cheese. Yeah, I love bread too much. I am also one of those weirdos that eyes peoples crusts of pizza (who doesn’t like eating the crust?? really???) . Haha…yeah, pretty much all pizza makes me drool. 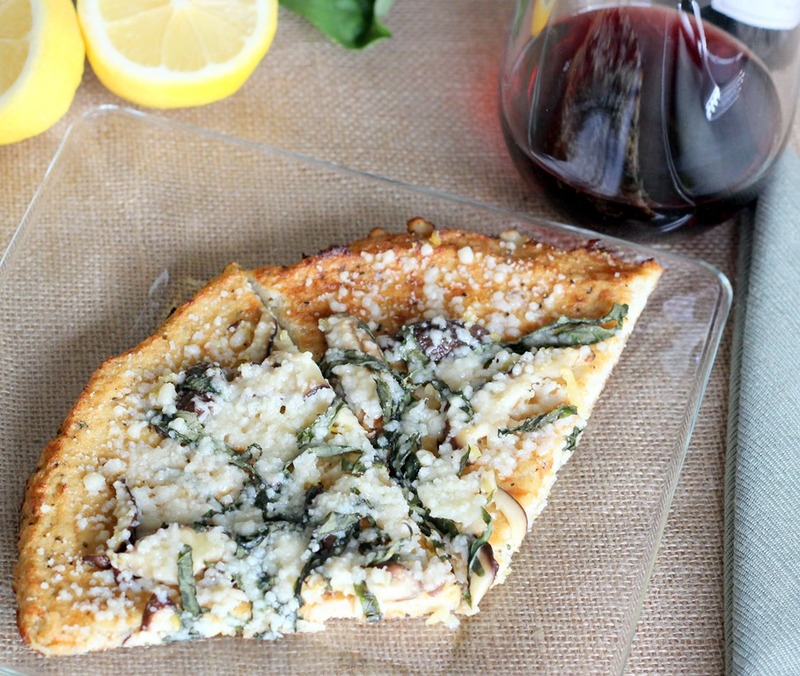 You should give the crust a try, it’s a fun way to mix things up. I couldn’t agree more- no bread should go to waste! 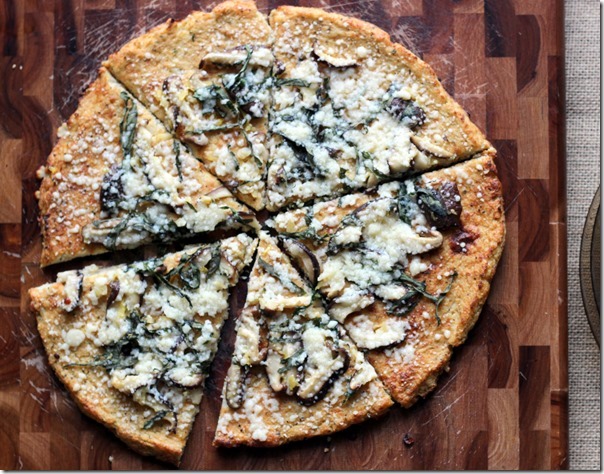 I definitely need to get on the cauliflower pizza crust train!! I’m reading a book right now called “Wheat Belly” and while the thought of giving up bread and pasta makes me want to cry, it is interesting stuff! Can’t wait to try this pizza! 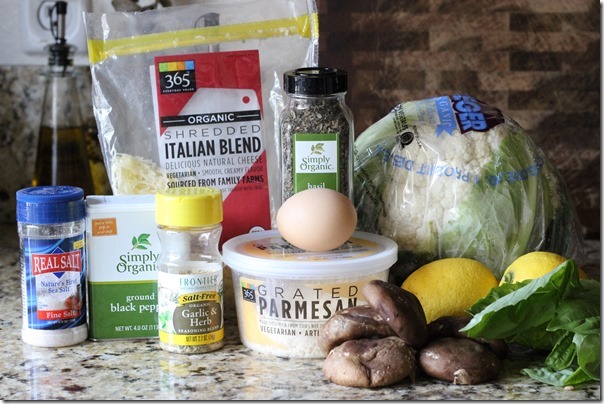 I have a whole head of cauliflower in my fridge right now…. 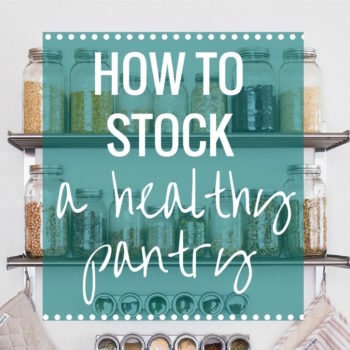 maybe I should put it to good use and attempt this recipe?! I was never a fan of cauliflower until I tried it roasted and curried. Now we’ll eat the whole thing in one sitting. Your recipe sounds delicious, and that crust is beautiful-can’t wait to try it. Love the toppings! So creative! 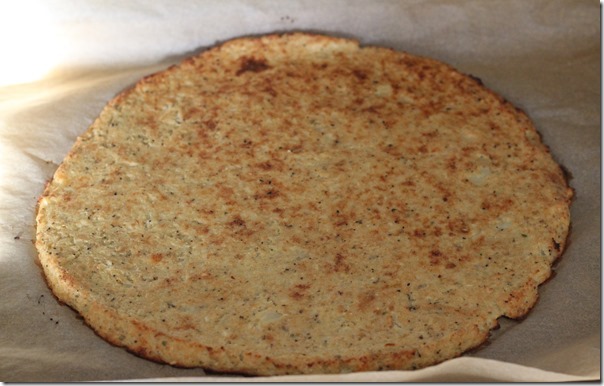 I have a basic cauli crust pizza on my blog. Looks like we used close to the same method! 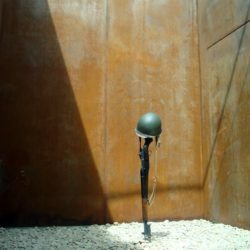 just in case you wanna check it out! 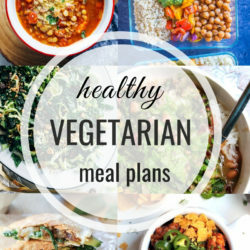 Looks really good and I would like to try it. However, I don’t have a microwave. What can I do instead? You might be able to steam the cauliflower but then it will retain more moisture which will make it harder for the crust to hold together. If you let it dry out for a while before using then it might work!